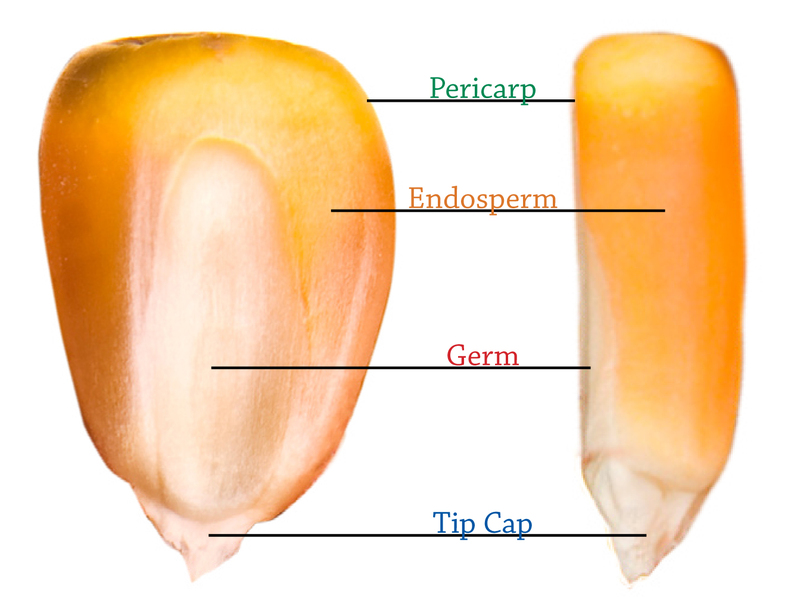 Food and fuel start with the corn kernel and its four unique parts: the endosperm, pericarp, germ and tip cap. We use those four parts of the corn kernel to make grits, meals, flours, brans, pregelatinized flours and whole grain corn flours; as well as ethanol. Endosperm – The endosperm carries most of the dry weight of the kernel. This part of the kernel contains starch, which is commonly used in food. The endosperm provides the starch necessary to produce sugar molecules for ethanol production. Products that come from this part are grits, meals and flours. Flour is the finest out of all three products made from the endosperm and grits are coarsest. Pericarp – This part is the outer covering of the kernel that shields it from bugs. It also preserves the nutrient value of the inside. The pericarp is used for corn bran found in everyday foods. Germ – The germ is the only living part of the kernel and is the centermost piece. This part stores genetic information, enzymes, vitamins and minerals for the kernel so it can grow when it is on the ear. Twenty-five percent of the germ is oil, making it one of the most valuable parts of the kernel. 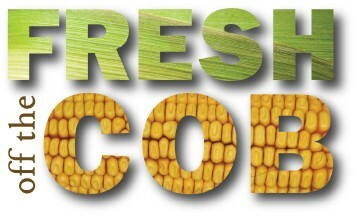 Tip cap – This part attaches the kernel to the cob. Water and nutrients flow through here to help the kernel alive. Whole kernel – We grind the whole corn kernel down to a specific granulation to make our whole grain corn flour. This entry was posted in Milling 101, Products and tagged corn, Flour, food, Whole grain. Bookmark the permalink.